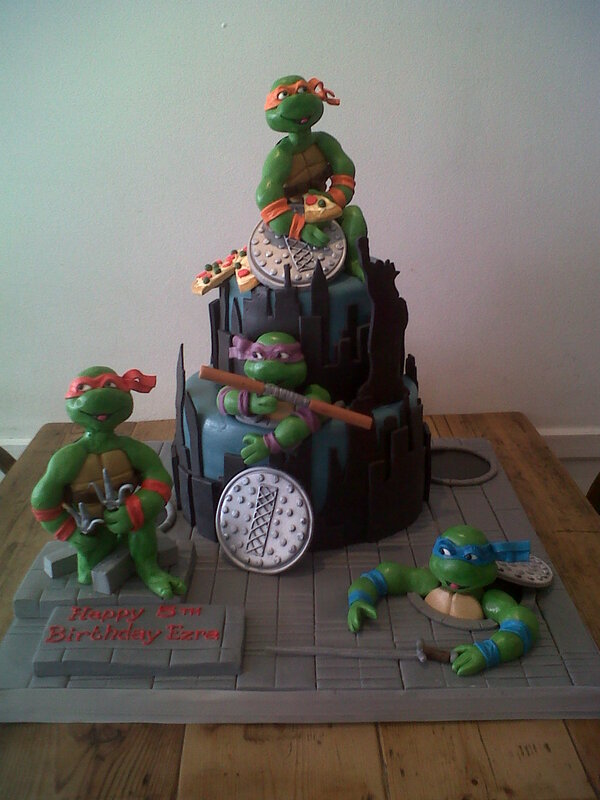 With the new Teenage Mutant Ninja Turtle film about to be released, we predict an influx of requests for cakes and cupcakes like these. Choosing a favourite character to theme a birthday cake is a great way to decide a party theme which can then follow through with the rest of the party decorations. 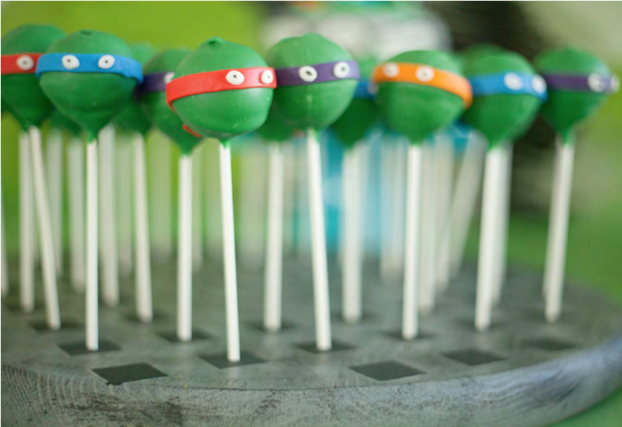 We like the decorations from Party Pieces to go with our cake and cake pops. 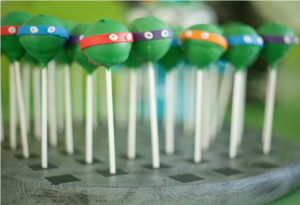 They are inexpensive and will transform the table into something your little Leonardo, Donatello, Raphael or Michelangelo would be proud of!